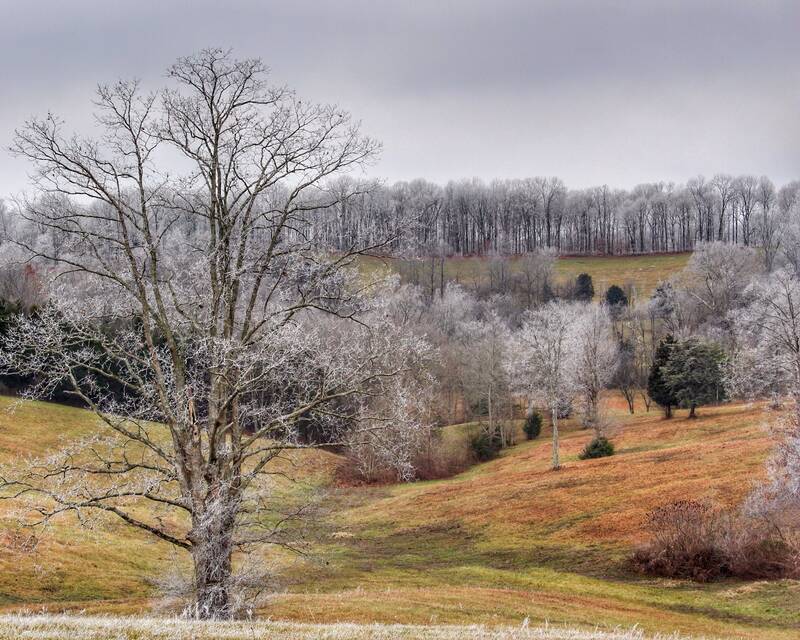 The Story...this heavy frost occurred in the middle of the day at Sparksville, Kentucky. This area is the highest point in the county, so while this was occurring here, the rest of the county wasn't experiencing any frost. I had traveled past this scene earlier in the day from a trip picking up lumber, all the while hoping it was still occurring when I travelled back by....it was, so I hurried home with the lumber and returned with the camera in time to take capture the image. Pic taken December 2017.